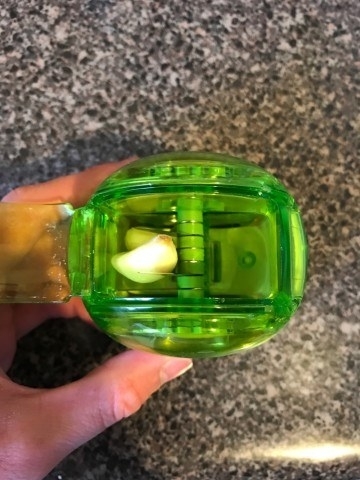 What are you even doing if you don't have a garlic chopping wheel? 1. This Silpat baking mat that makes any pan nonstick, so you can stop buying parchment paper, oils, and sprays. Hi, want to never buy parchment paper or cooking spray again, help save the planet, and bake cookies that don't burn on the bottom?? Well, I'm here to tell you that YOU CAN HAVE IT ALL. Take it from me and hundreds of other Amazon users who swear by this Silpat nonstick baking mat that does literally all of those things I just screamed at you about. Get it from Amazon for $17.61. 2. 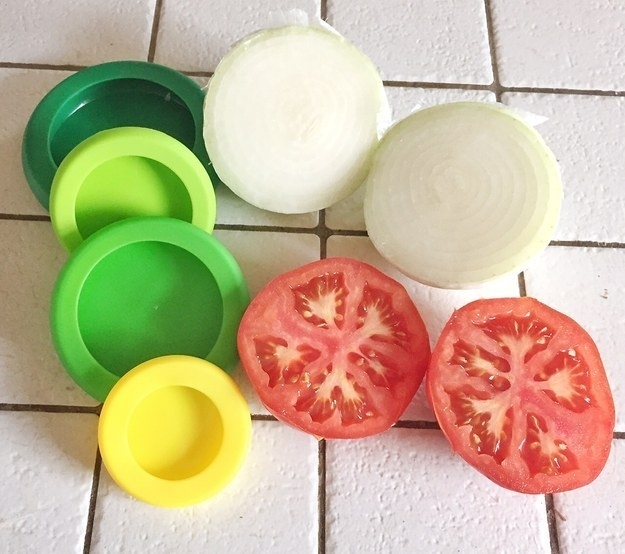 These Food Huggers, which will keep your cut vegetables fresh, snug, and delicious. I've spent hours looking at kitchen accessories for work, and every time I saw these Food Huggers — meant to preserve the freshness of leftover produce — I was skeptical. Why not just use a ziplock bag? (Well, because you want to do your part in the effort to eliminate unnecessary waste from this great Earth, that's why.) Also, I wasn't sure if they would actually work. 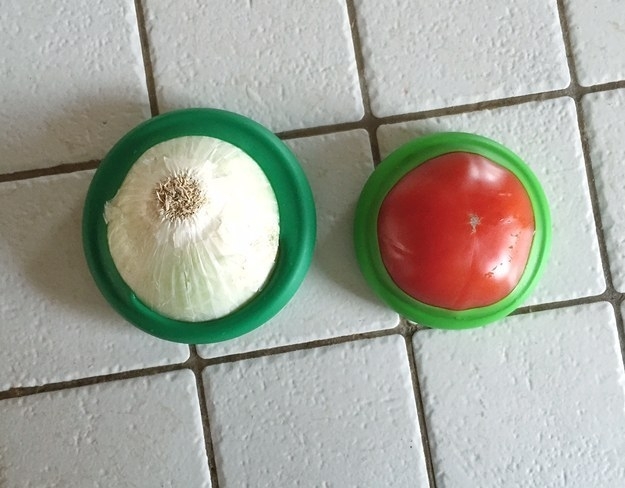 But eventually, I decided to give my food (specifically a tomato and an onion) a little hug. Get them from Amazon for $4.99 (available in two sets of colors). 3. 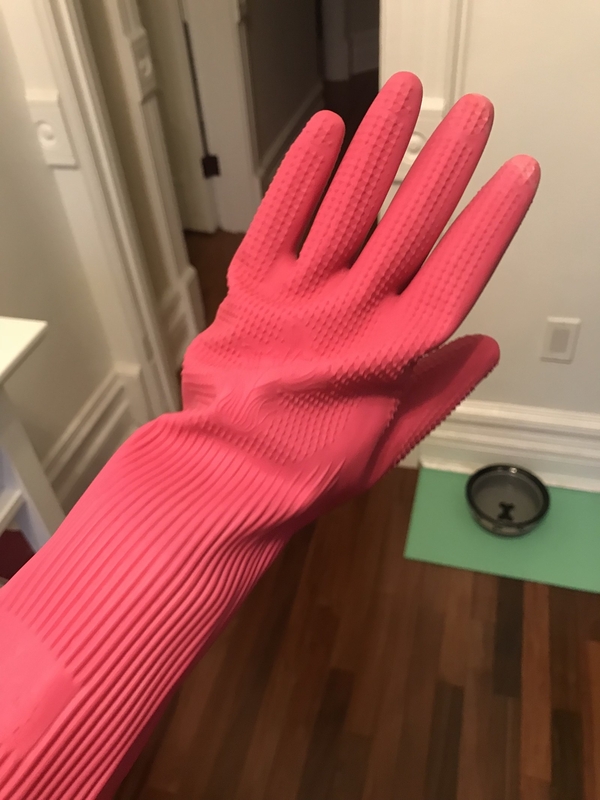 These sturdy latex gloves, which will make dish washing seem that much more enjoyable. 4. This garlic chopping wheel that transforms whole cloves into perfectly minced garlic for all your cooking needs. As someone who's trying to get more into cooking but still lacks quite a few of the basic skills required to be a ~true chef~, I consider the GarlicZoom chopper to be a lifesaver. Do you know how many recipes call for minced garlic? A lot of recipes, that's how many. What was I doing before I got the chopper? Not making those recipes. With this chopper, I don't have to worry about whether or not my knife skills are up to par — I can simply insert cloves of garlic and roll the contraption back and forth on the counter. It's as exhilarating as when you used to play with toy cars as a child, but with an added level of utility. Get it from Amazon or Jet for $7.99. 5. This salad spinner that will toss your salad (😉) in style. I felt inspired to finally buy myself a damn salad spinner because I spend way too much money on pre-washed greens. Also I have a fear of finding a frog in those salad mixes, because that's a real thing! The Oxo Good Grips Salad Spinner took, like, five minutes to clean a ton of kale and lettuce I bought at the farmers' market. I stored the greens in a plastic container + a paper towel, and they lasted well over a week — yay! Get it from Amazon for $27.19 or Jet for $29.99. 6. This traditional Chilean spice that anyone who loves cooking with paprika or chili powder will become obsessed with. I spent three weeks of this year traveling in Chile and another three weeks living in its capital, Santiago. And there were two things that I absolutely loved having access to while there: carménère wine and merkén, a traditional Chilean spice used by the indigenous Mapuche people. 7. 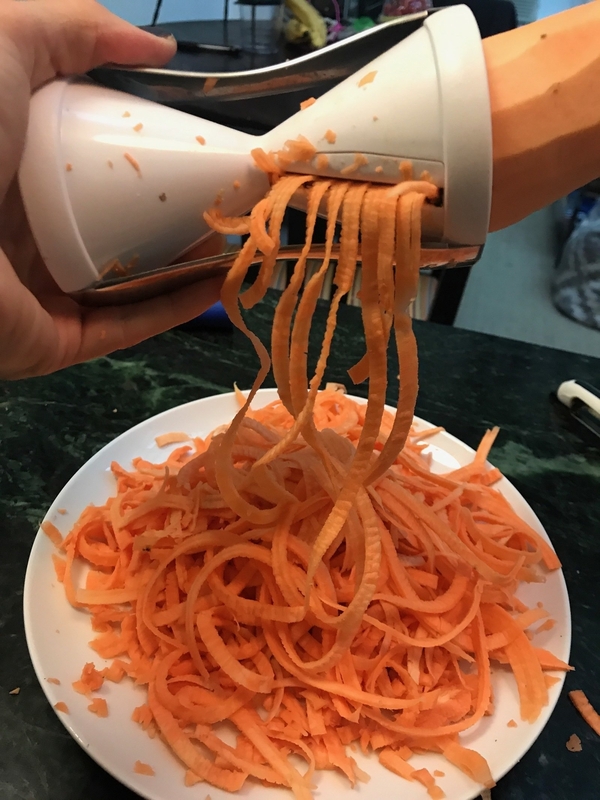 This super-affordable handheld spiralizer that'll make dinner healthy, yummy, and ridiculously easy. 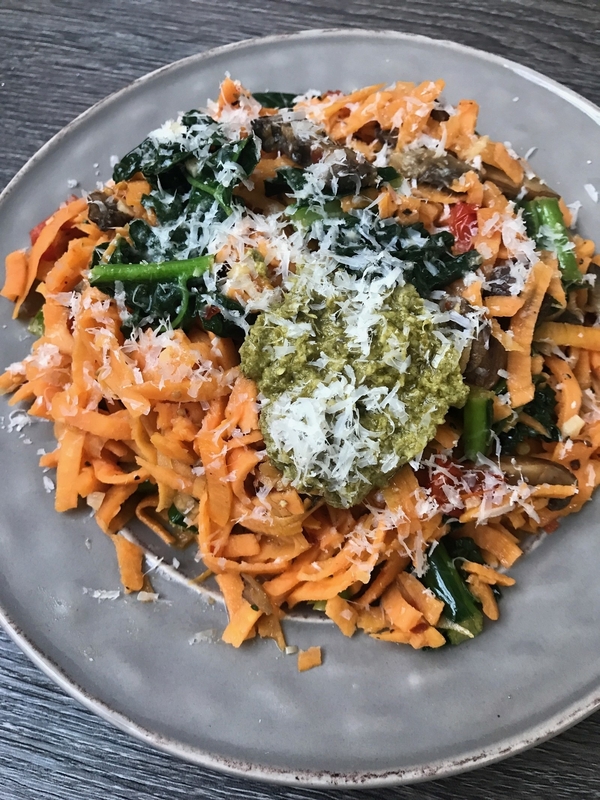 I only recently decided to give into the zoodle fad — and get a veggie spiralizer — because I'm trying to mix up my dinner routine. While searching, I realized there were a TOOOON of spiralizers on the market. But I was drawn to the Veggetti because of its awesome price, compact size, and, well, its bizarre name (lol). 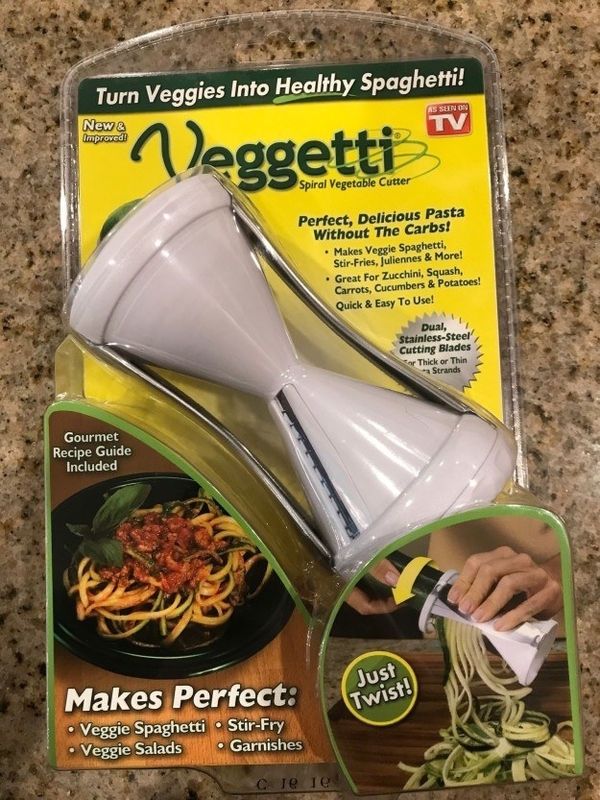 Since I've started using it, I totally see why the Veggetti has such a cult following. Unlike some other bulky models that take up counter space, the Veggetti is super small, a bonus for my teeny-tiny kitchen. It's also SO easy to use. With just the turn of your hand, it allows you to transform vegetables like sweet potatoes, zucchini, beets, and turnips into spaghetti-like strands. Get it from Amazon for $8.59 or Jet for $13.50. 8. 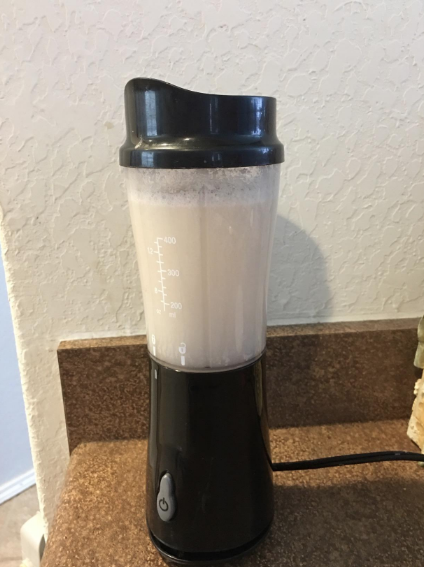 This single-serve blender, which makes you the perfect amount of smoothie every. single. time. Get it from Amazon for $16.99 or Jet for $14.85. 9. A bag of lavender flowers that'll spice up your desserts, drinks, and everything nice. 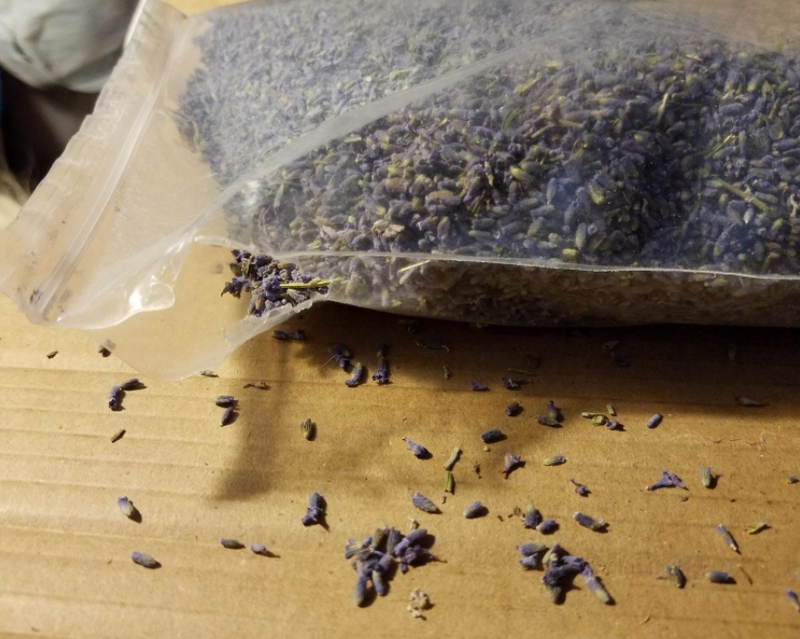 Okay, I know it sounds odd to keep a bag of lavender flowers around, but HEAR ME OUT. You can do so much with this! 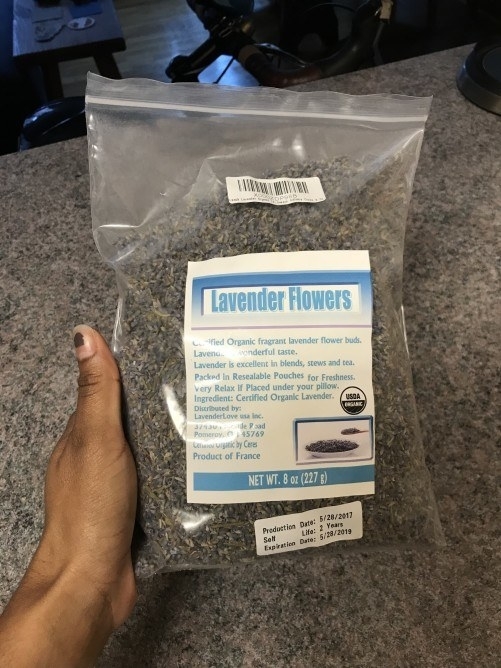 You can brew yourself a cup of tea, you can simmer it on the stove to make your home smell nice, you can use it in desserts, in homemade potpourri, your bath, lemonade, infused sugar — honestly, the possibilities are really endless here because lavender is aromatic AND edible. When I have extra herbs I don’t know what to do with, like rosemary or even ginger root, sometimes I brew it in a pot with lavender and lemon and drink it before I go to bed. Get it from Amazon for $13.29 or Jet for $14.99. 10. 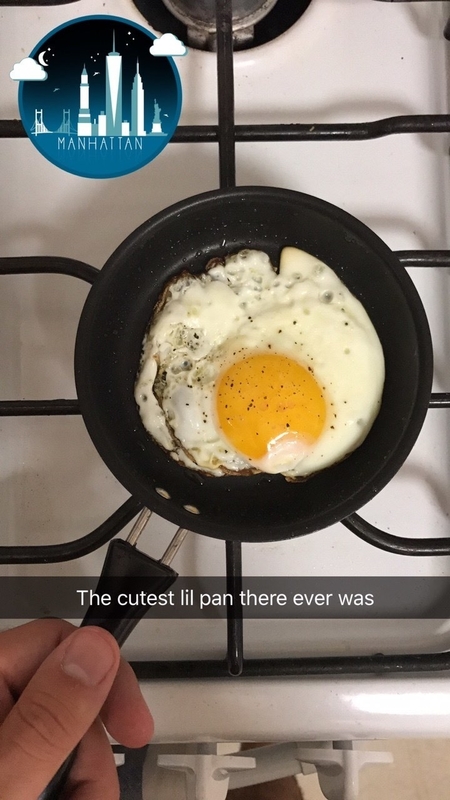 This super-cute mini nonstick frying pan, which is perfect if you're cooking for one. 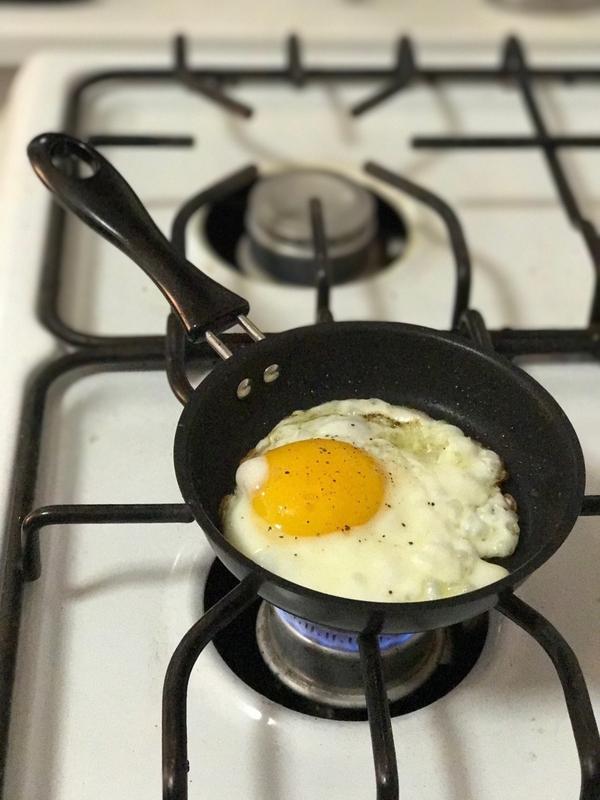 No matter what anyone says, size matters, y'all — especially when it comes to this frying pan, which, as you can see, is only 9.5 inches long. It's so cute! 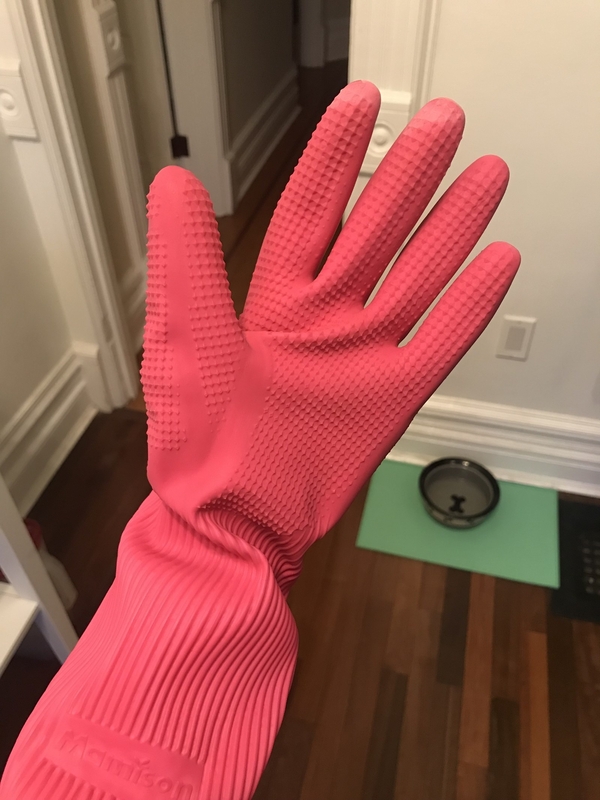 I live in a small Manhattan apartment that doesn't have much counter space OR a dishwasher, so the joy of having tiny-but-useful kitchen tools is top priority. 11. 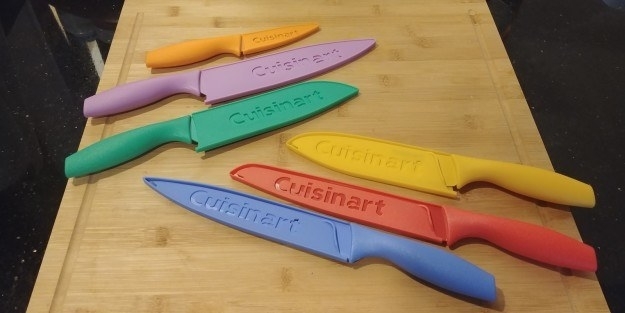 This colorful knife set that's too cute and sharp for its own good. When I first discovered this rainbow knife set, the classically trained chef in me was skeptical they’d live up to the hype of 3,000+ five-star reviews. 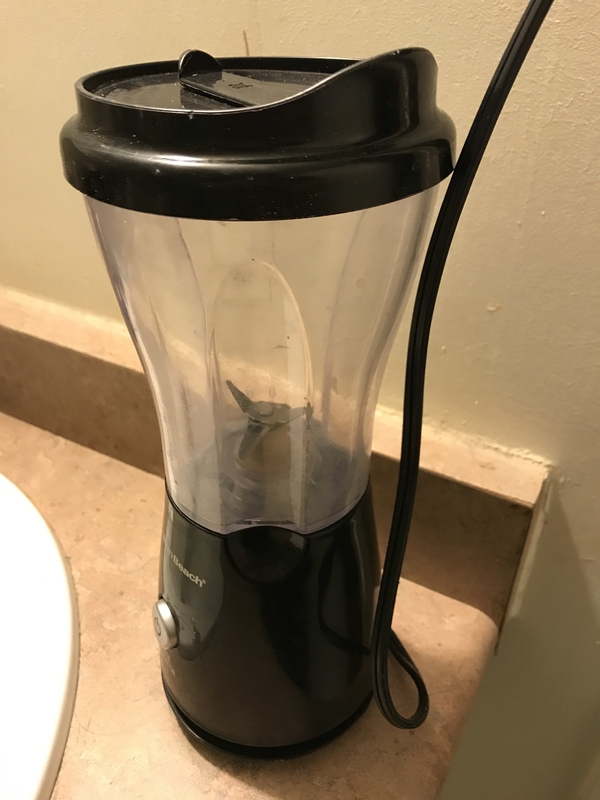 But then I realized they were made by Cuisinart, a brand I’ve pretty much always had positive experiences with in the past. So I picked up a set to serve as backup to the fancy German knives I’ve been using since they were issued to me in culinary school over a decade ago. The shockingly inexpensive set gives you six of the most useful knives you could ever ask for. Don’t let the whimsical colors or price tag fool you, though: As soon as I became acquainted with these knives, I realized that the blades on these things are sharp AF. That’s where the blade guards come in super handy, making it safer for fingers as well as the edges of the blades themselves when storing them in drawers. 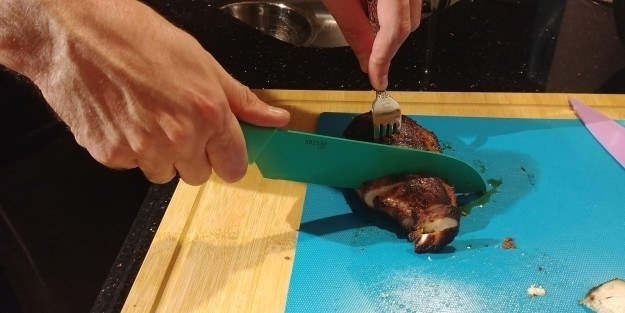 Plus, they also help to avoid cross-contamination, like when you’re working with raw meat and other ingredients at the same time and you need to remember which knife was being used for what. Get them from Amazon or Jet for $16.89+ (available in two sets of colors). This product was provided to BuzzFeed free of charge but we were not obligated to positively review it. 12. And this knife sharpener, because you deserve an easy (and cheap) solution to dull knives. Graduating to adult-ish dinners that require cutting more than a gooey grilled cheese make me realize that my knife-skills game was seriously lacking. I knew that I needed to do something about my poor hand-me-down knives since my old roommate moved out and took her super-sharp set with her. But I put off investing in new knives for longer than I’d care to admit (like, a year) before I saw this story and finally bought this little knife sharpener instead. 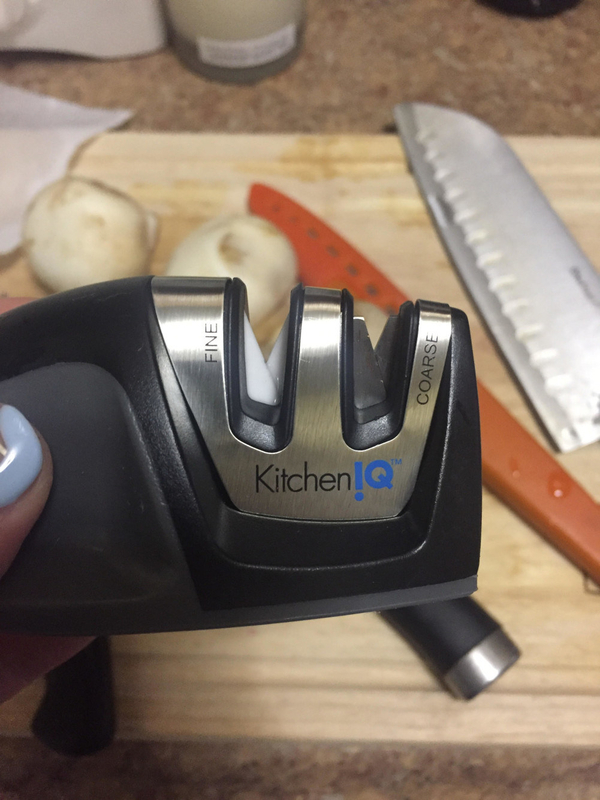 The inexpensive tool comes with detailed instructions and actually fits in my knife drawer so I won’t have to scare the dog while yelling, “WHERE IS IT?” I pulled out my assortment of knives and gave it a go on a Rachael Ray knife (similar to these). It’s a pretty handy knife, but wasn’t what it used to be back in the day. I set it on the edge of my cutting board and pulled it through the coarse notch three times, per the instructions. 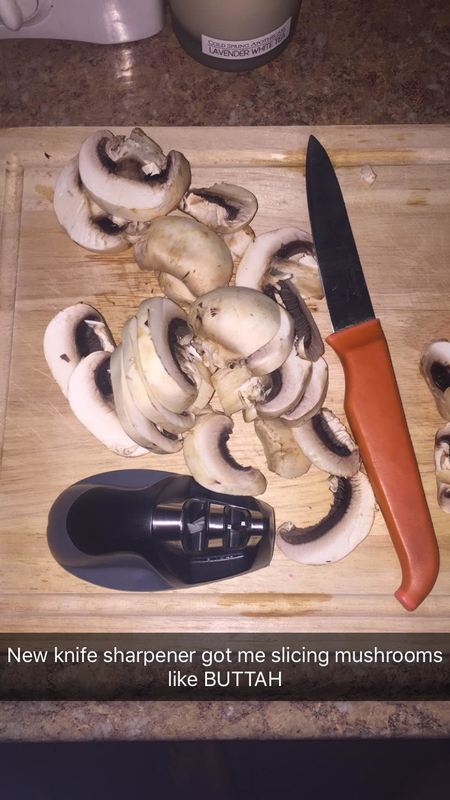 Even though mushrooms aren’t notorious for being tough to slice through, they’re oddly shaped and move around; with my newly sharpened knife I was able to slice through them with no effort…even the stem! I also manhandled an onion and it was sooo easy slicing through the skin. Get it from Amazon or Jet for $5.99 (available in three colors).